Inspector Montalbano uncovers the truth surrounding a high-profile kidnapping. Imminent retirement and a brush with death after a suspect shoots him give a nostalgic tinge to the curmudgeonly ruminations of Sicilian Inspector Salvo Montalbano (The Smell of the Night, 2005, etc.). It doesn’t help that Montalbano also suffered a cardiac “incident” a few weeks earlier, an incident concerned officer Fazio has indiscreetly mentioned to the doctor. Montalbano’s first case upon his release from the hospital is the kidnapping of college student Susanna Mistretta. He finds many inconsistencies in the crime scene, but is ignored by his higher-ups and the rabid press, who turn the case into a cause célèbre. Nevertheless, he methodically sniffs around Susanna’s boyfriend Francesco, her father Salvatore and others. Bittersweet comic relief comes from Montalbano’s ongoing spats with his volatile mistress Livia, who seems to grow in stature as the Inspector’s mortality looms. The real target of the ransom demands is not Susanna’s father, a noted geologist, but her uncle Antonio Peruzzo, a politician currently embroiled in one of those minor scandals as common in Italy as abduction for money. An unusual videotape released by the kidnappers deepens Montalbano’s suspicions and leaves it to him to confront the perpetrators. 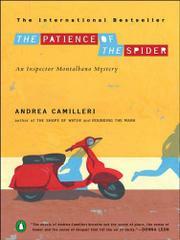 Camilleri’s character study deepens with every installment; his ironic eye is as sharp as ever.